I must admit, that was sort of a clever way to get her back, even though it's not her. I believe this allows her to use her actual accent. Maybe they find a way to get her ability back. We don't know if she has any other skills. Mick doesn't have any skills either, but he's useful. 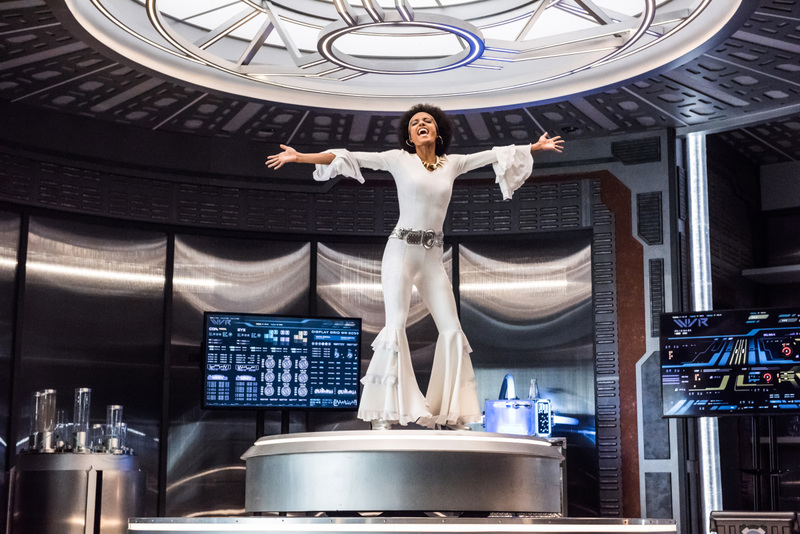 Could be wrong, or it may take a long time to play out, but I can see them getting her shape shifting skills back, but choosing to remain looking like Maisie Richardson-Sellers full time. Probably after realizing the connection Amaya had with the other characters. I liked the ep..like "70's London", "Constantine at the Pub", "Ray going rouge over a pretty face...again ", "ALL the Bureau stuff ".... but god dammit that was A LOT of effort just to get that damn chick back on the show. Is she blackmailing Berlanti? They couldn't find a van with the steering wheel on the right side? It could become her default form that doesn't take any work to hold. Or that. What I hope they don't do is just make her somebody that just hangs out. Even Mick came on as an existing Arrowverse character that was supposedly a master thief (with a cool flamethrower). That now describes like half of the legends. Mick and Zari just kind of hang with the group for no reason. Come on, Zari's got those mad wind powers Kind of like a portable desk fan. I always thought Isis had more powers than just wind? She could control various elements of nature, etc. CW just too cheap to do anything but turn on a fan I guess.